Capturing the energy and chemistry of live performances onto a studio recording is a difficult task for any band, even talented ones. 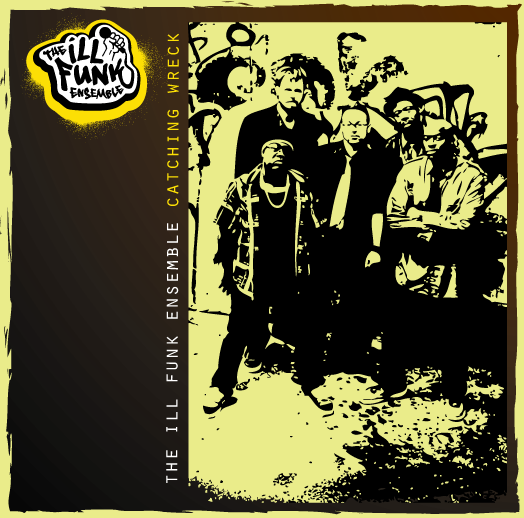 Fronted by lead MC/vocalist Jermaine Wells, Albany, NY-based band Ill Funk Ensemble runs up against this contradiction with their independently released debut album,Catching Wreck. This five-man outfit is known in the local club scene for their creative set of cover songs, performing classics from Notorious B.I.G., the Jackson 5, and others. But, despite the obvious talents, the band cannot seem to duplicate that originality with their own material.